Bonded Mechanical Corporation is a family-owned and operated business, providing residential HVAC services to Hauppauge, New York and surrounding Long Island cities. Our complete Hauppauge area HVAC services include installation of energy-efficient heating systems, cooling systems, and ventilation. We handle repairs and routine maintenance to ensure that your HVAC system is functioning properly all year long. We also offer low, fixed interest, long term financing for all energy efficient heating and cooling equipment to all qualified customers. 0% FINANCING ON ANY NEW HEATING OR COOLING EQUIPMENT INSTALLED BY US! ZERO DOWN AND NO INTEREST IF PAID IN FULL WITHIN 18 MONTHS. FIXED RATE FINANCING FROM 5.99% TO 9.99% WITH UP TO 132 MONTHS TO REPAY. Other programs available! Call to find out which program works best for you! Our family has been in the P/HVAC business on Long Island since 2000. We have over 40 years of experience, and we take pride in every job. When you call Bonded Mechanical Corporation to discuss your HVAC needs, you can be assured that we will personally follow up on every project to make sure your residential HVAC needs have been met. Our HVAC technicians are uniquely qualified to handle all of your HVAC needs. We have licensed master plumbers and licensed electricians on staff. We are also EPA universal refrigerant certified. All installations comply with New York plumbing and mechanical codes. 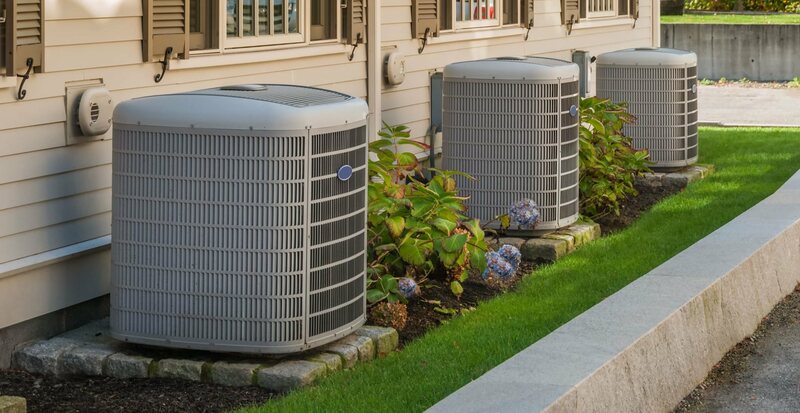 We use industry-standard HVAC parts and systems for maximum reliability. If you're tired of hauling room air conditions out of your attic every summer, consider the advantages of a ductless mini split HVAC installation. Mini split gives you the flexibility of setting specific temperatures for each room for maximum energy efficiency. Mini split does not require ductwork, and it can be used for heating or cooling systems. Bonded Mechanical Corporation air conditioning technicians can install, replace, repair, and maintain your Hauppauge A/C system. Call us at (631) 213-6131 to learn more. Our Hauppauge heating technicians are experts at installing, replacing, repairing, and maintaining all types of heating systems, including: oil and gas furnaces, electric heat, solar, geothermal, forced hot air, forced hot water, and radiant heating systems. Call any time, days, evenings and weekends, to discuss your Hauppauge HVAC needs.